This is one of the key findings from “Zooming in on household viewing habits”, a follow-up deep-dive on the annual survey EY conducted last September, which covered 2,500 UK families. This message from the UK consumers was also corroborated by a separate, US-focused research by Deloitte, where nearly half of all pay TV subscribers said they were dissatisfied with their service, and 70% felt they were getting too little value for their money. 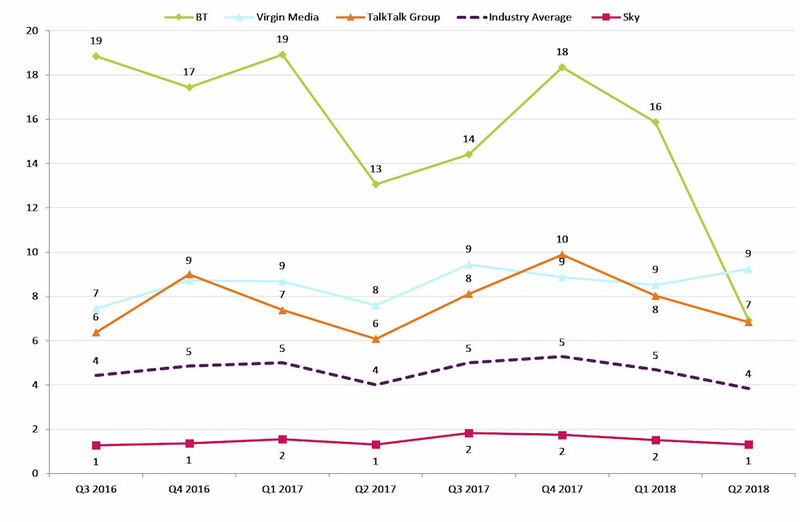 One of the key themes coming out of the deep-dive into the UK family’s media consumption habits is the ascendency of the consumption of content over the Internet, at the expense of pay TVs. Despite that cord-cutting has not yet hit the UK hard, 54% of all families are already spending more time on the Internet than in front of the traditional TV, including two-thirds of young users primarily watch content on streaming platforms. Although this could spell even more bad news for the pay TV operators, when the consumers do watch broadcast TV, 51% of households mainly just watch the five traditional “free” channels (if you did not count the £150 TV licence as “pay”), up from 46% in 2017. In general consumers are much more tolerant towards pay TV carrying ads than streaming services do. But, still, more consumers are also willing to pay for the content they like. For example, Netflix ranked number one on the table of apps by consumer spending, according to App Annie. And the Deloitte report showed that in the US, a consumer would subscribe to up to three on-demand streaming services at the same time. The willingness to pay has even extended to catch-up watching, especially to get rid of the ads, according to the report. 18% surveyed would be happy to pay more to stream ad-free catch-up TV, up from 16% in 2017. Another trends that stood out in the report is the diversification of content consumption platforms and its problems. A third families stream video on multiple screens, while 62% of the 18-24-year olds do so. Meanwhile, a quarter of all households have found it hard to track the availability of their favourite content across different services, apps and platforms. This number went up to 39% among the 18-24-year olds, which should be more tech-savvy. These trends combined can have some implications for how content is produced, distributed, and monetised. For example, if consumers will most likely binge watch content on streaming services (e.g. the average Netflix user would stream two hours a day), the idea of “episode”, which has worked on broadcast TV, will be less relevant. Or should a long series be released all at once on a streaming platform, or making it available episode by episode as the conventional TV broadcasting does? How should pay TV services improve not only its users’ account management, but also the content’s ID management, to provide more pleasant experience for cross-platform and cross-device users? On-demand video streaming has surely gained more impetus again in the last few days. CanalPlus has just launched its own streaming service Canal+ Séries, and Apple is widely expected to unveil a version of video on-demand service on 25 March at an event on its own campus. Ofcom has been logging consumer complaints about landline, broadband, mobile and pay TV services since 2010. The fact that they are at their lowest level ever would appear to indicate UK CSPs are doing a great job. Of course people could have just given up, or have become steadily more apathetic, or have found more effective ways to punish errant telcos than moaning to Ofcom, but let’s give them the benefit of the doubt. 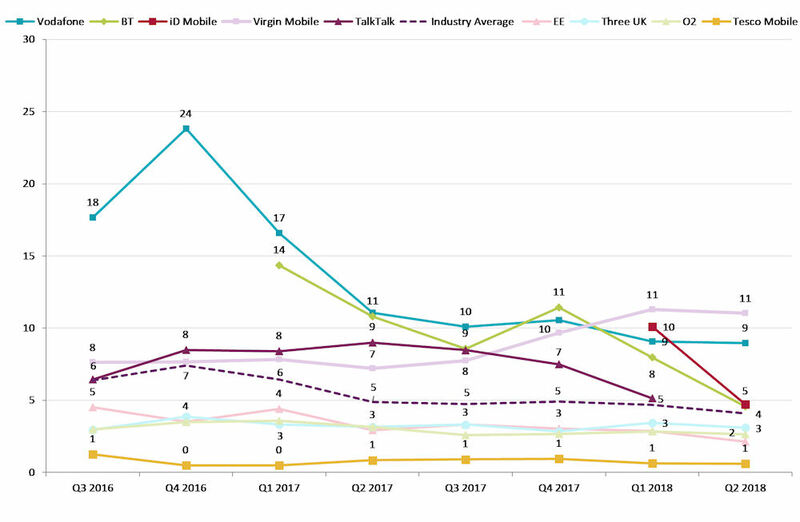 In the tables below you can see first the historical totals for the four categories of complaints and then the most recent ones for broadband, mobile and pay TV. We haven’t bothered with the landline ones because we figure nobody cares anymore. Now that Vodafone has got its act together there are no outstanding poor performers in mobile and similarly BT seems to have sorted out its pay TV operations.